I said last year that Jordan Young had great skill as a leader as well as performer. His group is solid and concise. 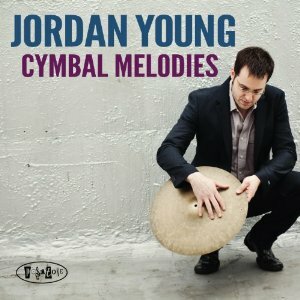 Making the jump from his independent self-titled debut to the perfect home of Posi-Tone Records, Jordan Young delivers his newest release, Cymbal Melodies. And it is just as pronounced and confident as his debut. A strong step forward. The two opening numbers, "By The Time I Get To Phoenix" and "Raindrops Keep Falling On My Head" are killer. Jordan turns "Raindrops..." into a real barn-burning. It's smokin' and really fun. You almost don't recognize it thanks to some crafty and infectious work by Charette and Rothbard. But Young's kit sounds explosive throughout. "...Phoenix" is midtempo with a groovy melody that is set with some clever and understated timing by Young. This while Charette and Rothbard give the tune a real sense of emotional structure. "Bird Bath" is sneaky in its structure thanks to Charette's hip crunchy styling. The dialogue between Young and Charette (longtime bandmates) is superb. "Mood For McCann" is a funky number where Young unleashes Sucato and Rothbard to exchange some fierce lines that are quite soulful; they might have you reminiscing for Jack McDuff and Grant Green. 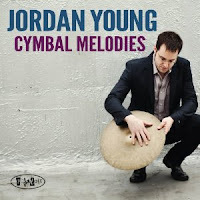 With Cymbal Melodies , Jordan Young reaches the next level in what looks to be a sparkling career. Posi-Tone was the perfect choice for this release, fitting nicely with the label's current stable of artists. But more importantly, a great number of people will and should get to hear an artist who is quickly finding his voice as a composer and performer. Cymbal Melodies is a solid must listen.